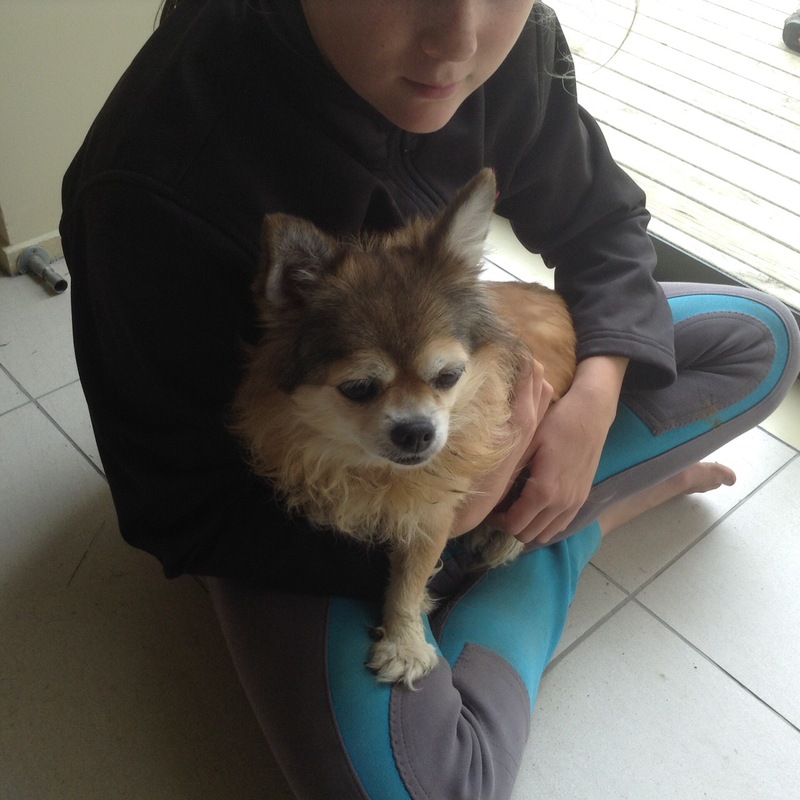 We have a small dog turned up at our house on Komokoriki Hiil Rd. Has a collar with the name Mesha on it. Also a name and phone number. The number is not responding. Small and fluffy tan with dark hair overlay.